This year at the Mid American Trucking Show Tarpstop came out with a blast. With over 1100 exhibitors in over 1 million square feet of space; there were seminars, contests, giveaways, concerts and even awards. Located at booth 18036 in the North Wing. This year at the booth we showcased not only our amazing Fastrak II system but also our new system, the Fastrak Evolution. The amazing part of this new system is that it simplifies the rolling tarp system by allowing you to open and close your system from a remote. More than just a continuation of the Fastrak II design, the Evolution introduces a one of a kind, automated operationall platform which enhances all of the features that made the Fastrak II the most preferred Rolling Tarps system by drivers everywhere. We love trucking industry trade shows. Why? Because it gives us a chance to hear from you, our customers, directly. We get to catch up with old friends and make new ones along the way. We get to ask you what you like about our products, and we get to hear what you might wish we did differently. 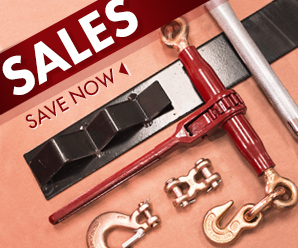 We get to talk to you about your business challenges and about your successes. All of these connections help us to serve you better, and that’s really what it’s all about. Running Through Walls, for you. Want to leave us a comment? 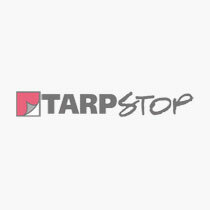 Just email us at marketing@tarpstop.com. We'd love to here from you. Interested in learning more about either our Fastrak system or how we can help you with your Cargo Control needs? Call one of the below locations today.